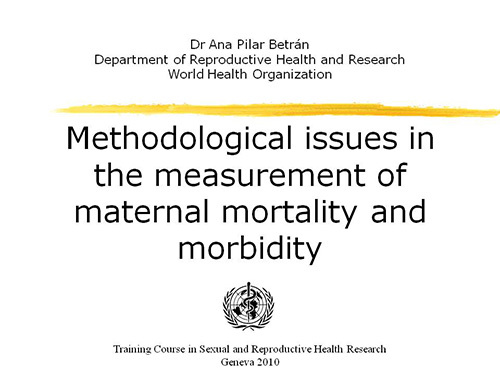 Maternal mortality in 2005: Estimates developed by WHO, UNICEF, UNFPA and The World Bank. World Health Organization, Geneva 2007. Trends in maternal mortality: 1990 to 2008. Estimates developed by WHO, UNICEF, UNFPA and The World Bank. World Health Organization, Geneva, 2010.